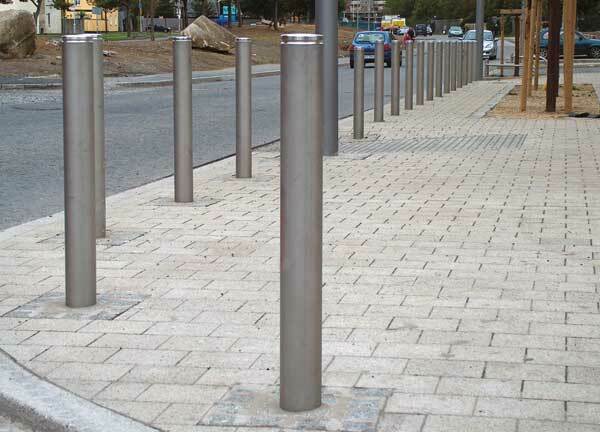 316 grade stainless steel bollard with cast stainless steel cap, 3mm wall thickness. 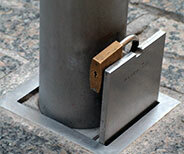 316 grade stainless steel, 4 mm wall thickness. 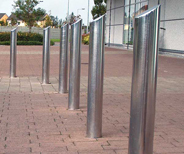 Hartecast manufacture a wide selection of bollards in a variety of designs in Stainless Steel and Ductile Iron for the UK market. 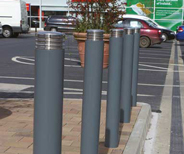 Hartecast bollards are suitable for many types of locations and applications including public, commercial and industrial. 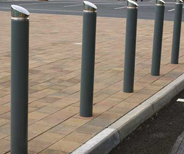 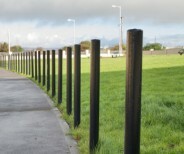 Bollards can be cast in to the ground to provide a permanent physical deterrent to vehicular access, bolt down options with base plates are available for where ground depth is not sufficient for casting in or for preference, removable bollard versions are also available with the use of a retention socket for where bollards need to be removed for occasional access.